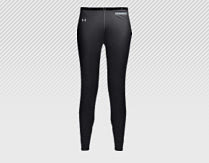 Hello Gorgeous: Under Armour Has Change My Relationship with Winter. I must get some under armour. It is colder than it really needs to be here in Chicago right now. Thanks for the tip! I am always cold too, especially my hands, and while I haven't tried Northface gloves, I use Hotfingers and they are the best I've ever had. Chicago: My heart goes out to you. I just checked the weather in Libertyville, IL and it's -2!! Not including wind chill. I'll take 27 degrees today, thanks. Although, somehow my husband has managed to be in Florida this week. Rachel, I am headed over to Hotfingers.com. Oops. No, I'm not. I just went to hotfingers.com and there was a link for hotlivesex. Maybe I can hook them up with Gillette and they could introduce vibrating gloves. Patagonia's Capilene is also really great, and it comes in different weights for different temperatures. I live in mine all winter long. Long johns are a necessity! I feel so sorry for you guys! It's pretty warm and sunny in Austin today, but still cool enough for me to wear my faux Uggs indoors (HG, I may be an even bigger wimp about the cold than you). Don't worry, though. It will be hotter than the surface of the sun for five months straight during the summer, while you all are able to actually step outside without incinerating instantly. I'm from Chicago and I've always been a wimp. And I just heard about Under Armour from one of the guys at work. He swears by it too. Yes, the "summer" heat of Texas is truly unbearable. In Texas the godawful summer heat lasts from March to November. "Hotter than the surface of the sun" is very apt. I couldn't stand it (after having endured 12+ years in Texas), I yearned for green plant life that grew naturally, not with tons of watering, four seasons, etc. And, hooray! Moved back north! At least our cold snap is just a couple of days. Regular winter is fine with me!